Dave Buel is owner of Buel's Impressions Printing and is serving his third term as a member of the board. He has owned Buel's Impressions Printing since 2003. He has been in the printing industry since 1974 after receiving his Bachelor of Science degree from the University of Oregon in 1974. In the spirit of the first pastor in the first city of the Oregon Territory, I am committed to our Chamber of Commerce to improve our business community. 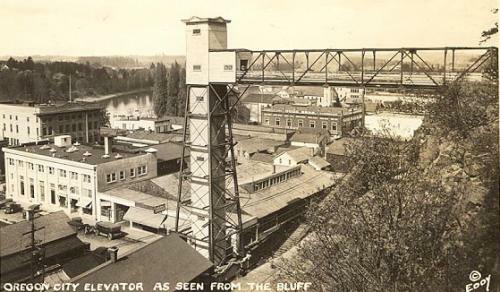 The Reverend Waller of the First Methodist Church of Oregon City set a good example in 1841 when he established his church and one of the town’s first businesses, Island Milling Company and saw mill at the Willamette Falls. Oregon City is an excellent community for businesses and my desire is to improve the spiritual quality of our families and workforce so that our businesses thrive to attract and welcome new entrepreneurial creative business. As an Ambassador, I am working to help develop a business-friendly environment. Dr. Henson was born and raised in Columbus, Ohio and graduated from The Ohio State University, in 1983 with a B. S. in Animal Science, and then attended The Ohio State University College of Veterinary Medicine, completing her D.V.M. in 1991. Dr. Henson opened Trail's End Veterinary ''mobile'' Veterinary Clinic and served as an adjunct faculty at PCC Veterinary Technology program. Her focus shifted to a permanent location and The Cat's Meow Cat Clinic was born. Dr. Henson focuses on cat medicine and shares her life with her husband of 30 years, their pet dog Rose and cats Dori and Weeble. Sherrie Henson is a VP/Retail Business Banker in the Portland Metro Region. She is a small business relationship manager specializing in business banking and lending in the region. She places an emphasis on maintaining strong relationships and is vigilant about consistent contact with her clients so that she may easily identify opportunities to assist, while acting as a resource and proactive problem solver. Sherrie has been in the banking industry for 20 plus years. Sherrie also serves as the Treasurer and on the BOD for the Clackamas Volunteers in Medicine, past Vice Chair and on the BOD for the Providence Willamette Falls Medical Foundation, past Chair and on the BOD for the Oregon City Rotary Club Foundation and on the BOD for the Oregon City Business Alliance, Neurotherapeutic Pediatric Therapies and NARI Pacific NW. She also volunteers with the Oregon City Chamber of Commerce as an Ambassador. Crystal has worked in banking for ten years and joined the Citizens Bank team in 2013. She is passionate about the culture of the bank and the personal interactions she has with both clients and the local community. Crystal is proud to serve as an Oregon City Chamber Ambassador and she is actively involved on the Buy Local Oregon City Committee. Crystal has been a volunteer with Meals on Wheels since 2007. Outside of work, Crystal enjoys singing with a Portland-based community choir, attending the theatre, bowling, Geocaching, and hiking. Claire was born & raised in Hawaii before moving to Oregon in 1978 with her husband and 3 sons. She left a banking career in 1989 to open OC’s first bed & breakfast while also running the Oregon Trail Interpretive Center in the Pioneer Center basement. After 5 years of restoration, Claire & her family opened the Captain Ainsworth House Bed & Breakfast & Event Center in 1999. She’s worked as OC Chamber’s event coordinator & program assistant at OC’s Pioneer Center. After retiring, she’s devoted more time to her almost 30 year antique business. Claire strongly believes in giving back to her community having served on several boards including the OC Chamber, OC Civic Improvement Trust & Main Street OC. 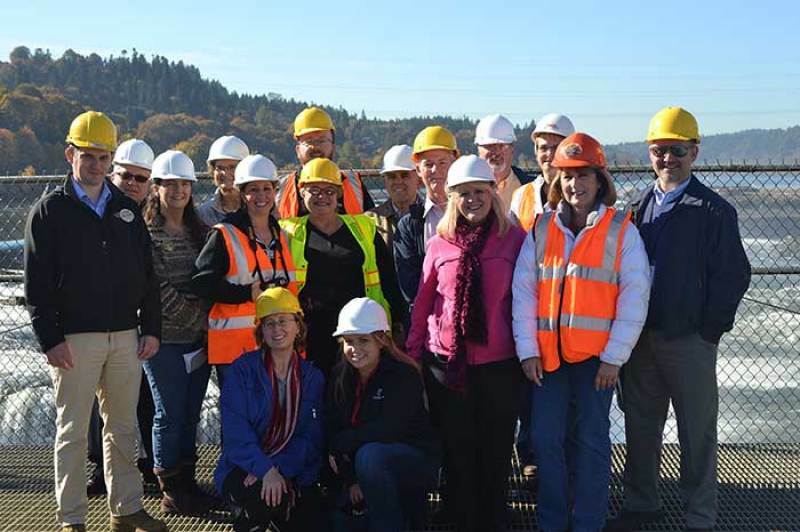 She presently serves on the Historic Review Board & Willamette Falls Heritage Coalition. She’s also very active with the OC Optimists and OC Women’s Club. 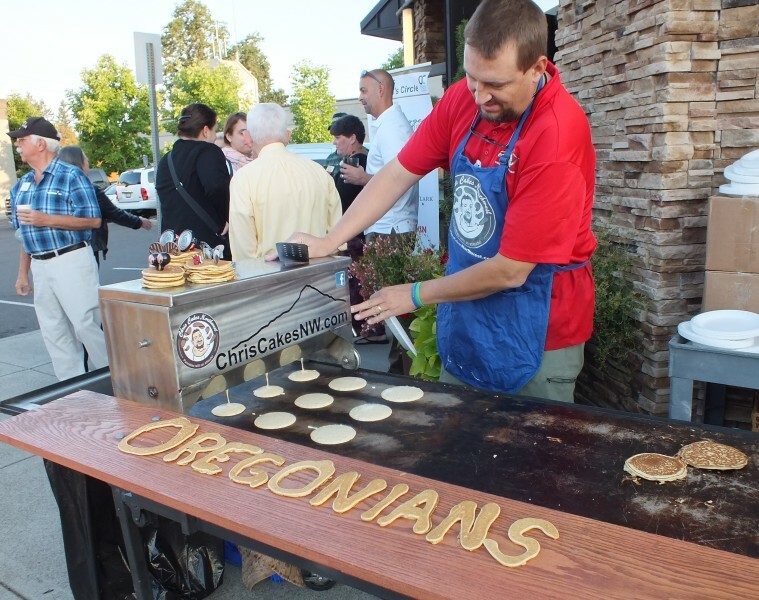 John has been involved with the Oregon City Chamber for about one year, since taking new ownership of OC Sign GrafX. 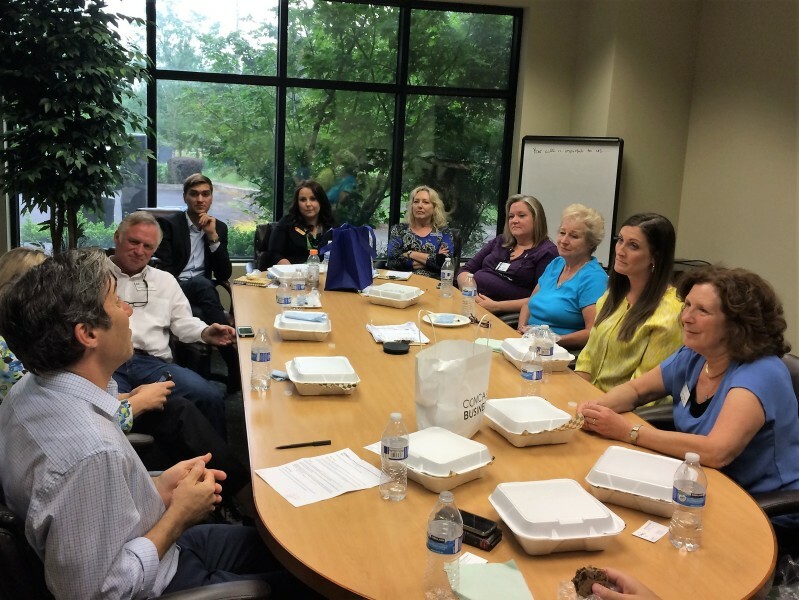 “I’m very happy with the results of the business relationships through the OC Chamber. My role as a business owner is to network with other businesses and Chamber gives me that opportunity”. In the process of helping businesses with their sign needs his Chamber experience has helped his business grow, not to mention creating some fantastic friendships. 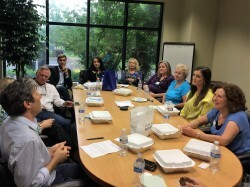 John has also had the opportunity to volunteer at a variety of Chamber events including morning and evening networking and State of the City luncheon. “This has been a fulfilling experience and given me exposure to a wider group of members, city/county leaders and elected officials. I look forward to a continuing relationship with the OC Chamber for a long, long time”. The Oregon City Woman's Club was established in 1903 and is currently the Chamber of Commerce best Nonprofit Organization for 2017. We are a service club that holds several fundraisers every year then in January, it is all given back to our community through many other nonprofits. Please visit our website and see all the wonderful things we have done and what we do now. We are always looking for members who love to volunteer and give back to the community.If interested call me or fill out the inquiry on our website, www.ocwomansclub.com. I was the 2016-2018 President of the Oregon City Woman's Club. Bill Clark has more than 20 years’ experience in the mortgage industry and works with clients throughout Oregon and Washington. He is extremely knowledgeable about FHA, VA, USDA (Rural Housing), and conventional financing for purchases and refinances of primary residences, second homes, and investment properties. Bill has been married to wife Laurie for 28 years. In his spare time he enjoys riding his Harley, exercise, church and visiting his parent. He and Laurie also enjoy long walks with dog “Harley” and lots of resting! Jennifer is a California native who moved to Oregon City two years ago to join other family members including her father and mother who opened the OC UPS store several years ago. Jennifer has past experience in running and marketing small businesses as well as developing her educational background in business marketing. Jennifer received her bachelors in 2010 from University of Phoenix, Rancho Cucamonga Campus. She has two wonderful teenagers still at home and enjoys volunteering in the community in her spare time. Jennifer currently serves as an Ambassador, and Chair on the Buy Local Oregon City team. She is also active with member Oregon City Woman’s Cub. Daniel Nordstrom earned his BA in Theology and Master of Divinity from Multnomah University in 2005 and 2013. He joined Elevate Wealth Advisors in 2014 where he focuses on assisting clients. He recently earned his Certified Financial Planner™ designation (made possible with the help of his wonderful wife and encouragement from his boss). He is a proud native Oregonian and lives in North Portland with his wife, two children, dog, cat, and ducks. With his experience and education, he hopes to connect deeper with you to better formulate a comprehensive financial plan that fits you and your goals. Stephen Berry is passionate about helping people feel secure financially. He does this by providing his clients with the right kind of insurance per their life situation. He chose to work for COUNTRY Financial because he wanted to build his own business with a company that understands and encourages this mission. Stephen is married to his wife – Emily. They have three children – son Kellen, 9; daughters Shiloh, 5 and Haven, 1. Also, they have a dog and cat that fill their home with added joy. Stephen initially pursued a career in professional hockey as a public relations director and broadcaster for several teams around the United States. Additionally, he has worked for numerous radio stations which began when he was 16 years old. Stephen’s hobbies include coaching high school girls soccer, frequenting coffee shops, learning mixology, and reading and writing poetry and books. Tim began a 30 year career working in a variety of natural resource settings, and as an environmental educator. For two years Tim has taken that expertise and put it to great use helping businesses select and acquire promotional products, apparel and office supplies with custom imprinting. He has an adult daughter and enjoys getting out in nature and … performing stand up comedy.